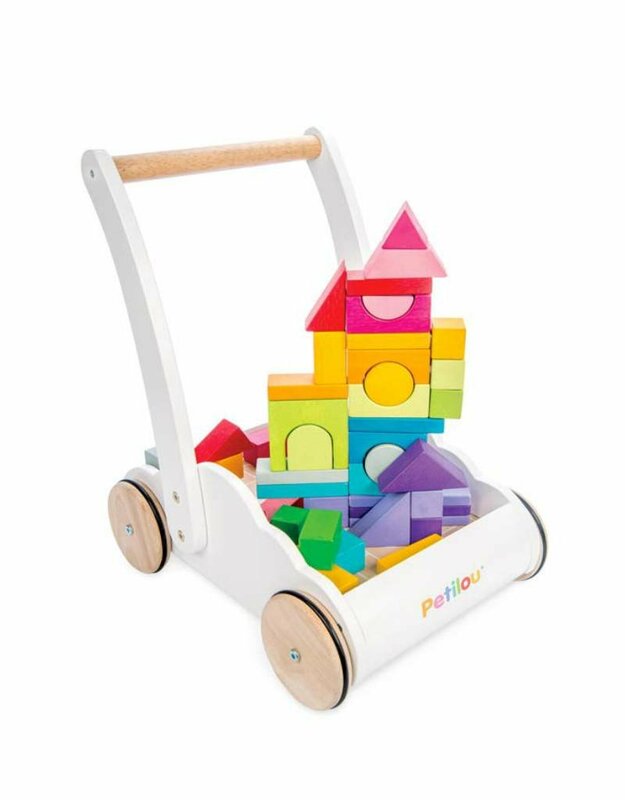 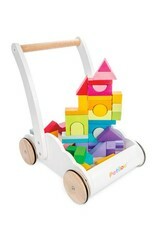 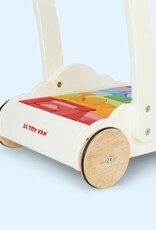 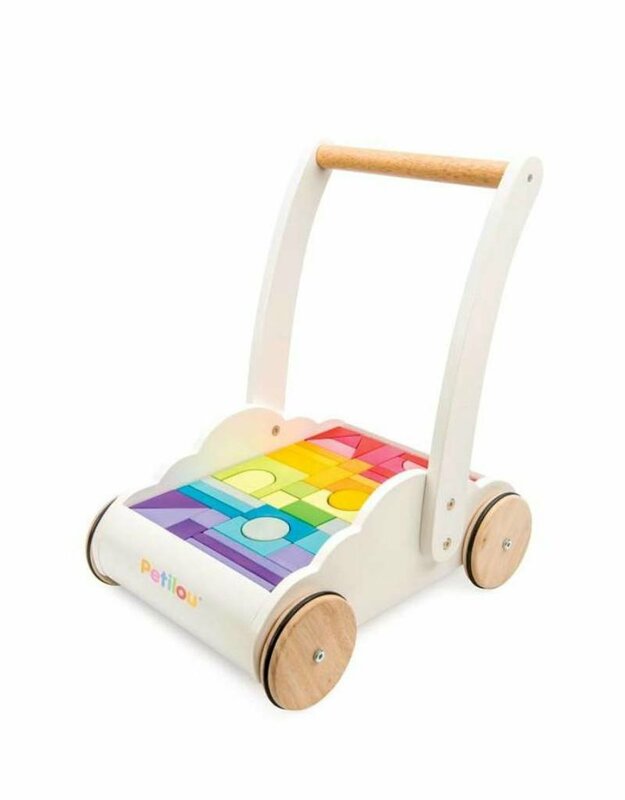 A unique baby walker in a cloud shape with 45 rubberwood blocks painted in delightful water stained rainbow colours and a great assortment of shapes. 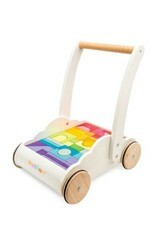 The sturdy wooden construction offers support to develop their con dence. 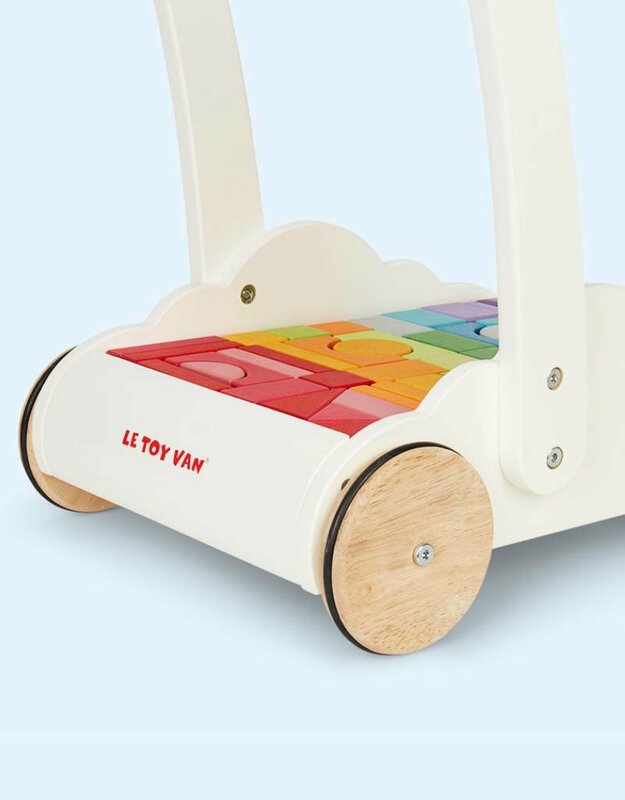 The traditional wooden rainbow blocks encourage shape recognition, develop hand-eye coordination and imagination.